We hear about it in the news all too frequently. It seems that every other week, there’s another mass shooting, and it’s always too close for comfort. Here’s the truth: people living with a mental illness are no more likely to harm others than any other person. They are, however, significantly more likely to harm themselves. Believe it or not when it comes to gun-related deaths in the U.S., homicides account for 34%, while mass shootings account for less than 1%. Suicides, on the other hand, account for 60% of all gun deaths in the U.S. Take a second to re-read that. That’s a tremendously high number. To put it in perspective, more than 20,000 people commit suicide by firearm annually – that’s 50 each day. It is the #1 method of suicide. But because suicides rarely make the news, the public can’t help but focus on mass shootings and homicides saturating the media. The focus needs to be on limiting gun access. 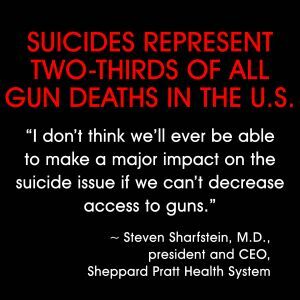 As providers of mental health services, we support limiting access to guns in an effort to decrease suicide rates. We need to stop making it so easy for people to harm or kill themselves, and the simplest way to do this is to make it more difficult to gain access to firearms. 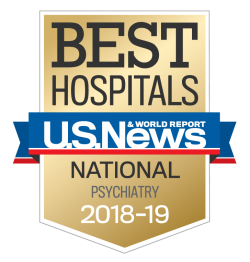 The converging conversations around guns and mental illness will undoubtedly continue, and we welcome appropriate discourse on the subject if you’d like to share comments below. If you’re having thoughts of suicide, or are concerned about someone in your life, there are many resources available. Start by visiting afsp.org/find-support, or call the National Suicide Prevention Lifeline at 1-800-273-8255.